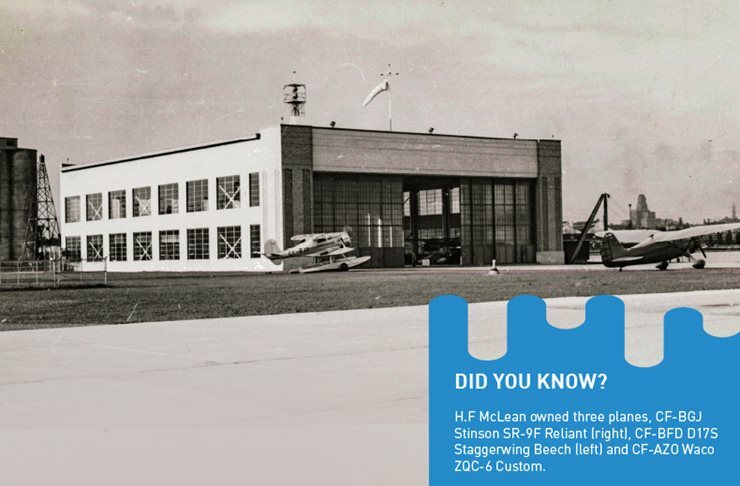 It has been more than 80 years since the first plane landed at Billy Bishop Airport on February 4, 1939, piloted by H.F. McLean from Montreal in his Stinson Reliant. 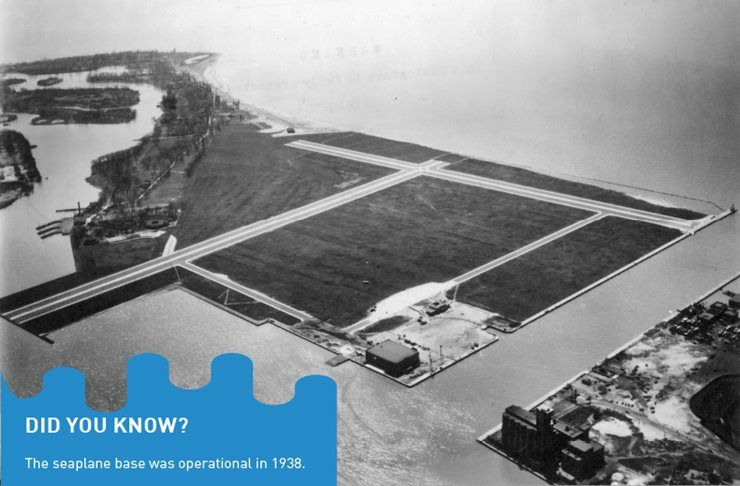 Since then, Billy Bishop Airport, owned and operated by PortsToronto, has established itself as a world-class airport providing 2.8 million passengers each year with convenient access into and out of Canada’s largest city, Toronto. 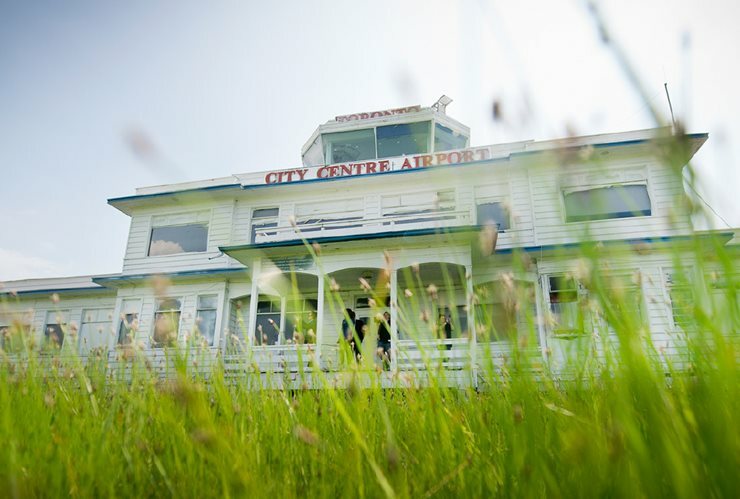 Throughout its history, the airport has served as an important commercial aviation centre, a training ground for both the Royal Canadian and Royal Norwegian Air Forces during World War II, a hub for General Aviation and Medevac services, and as a key driver of Toronto’s economy. 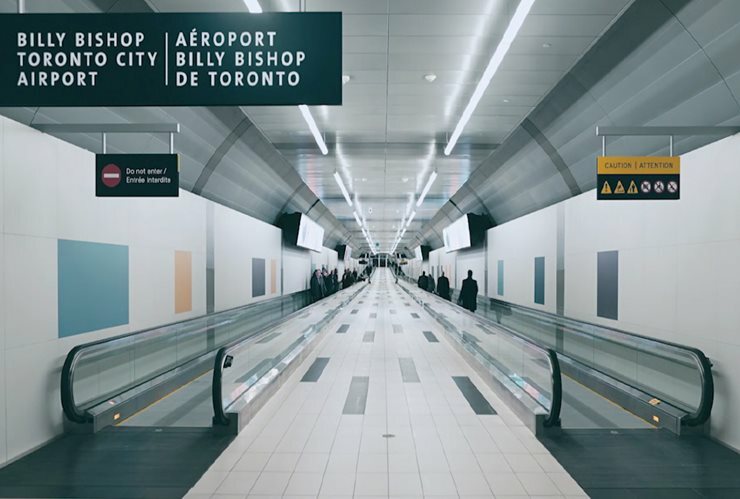 Fly with us down memory lane through to see why we believe Billy Bishop Airport is one of Toronto’s great success stories and most valuable assets. 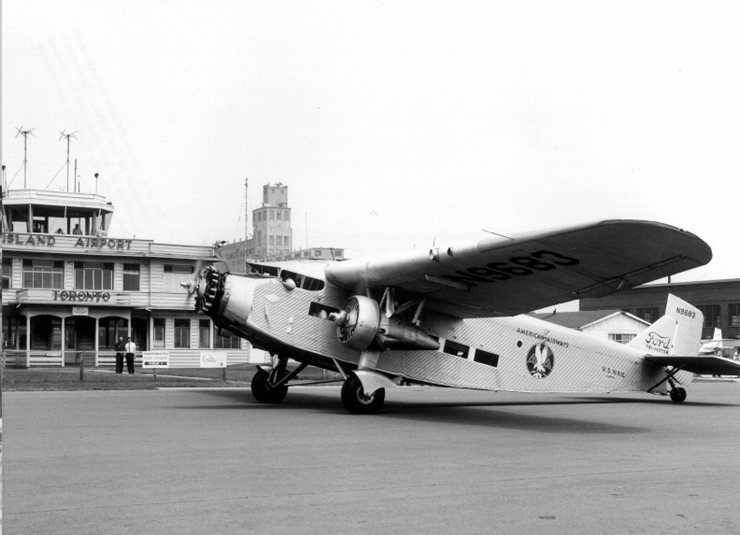 Discussions began in the late 1920s between City of Toronto officials and the federal Department of Transport to decide on a suitable location for a major city airport. 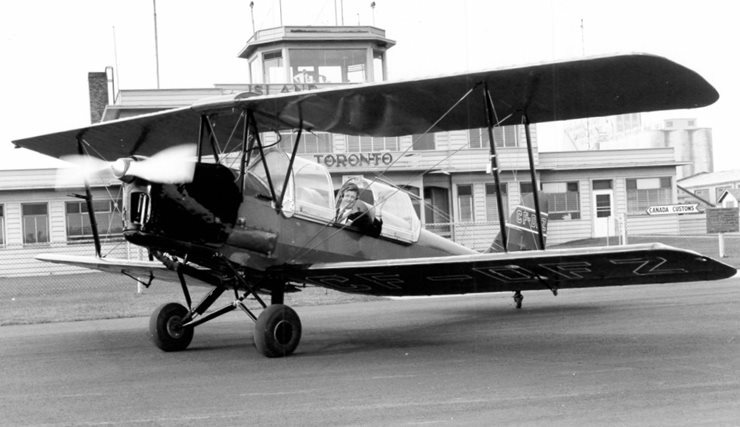 The aviation industry grew rapidly in the 1930s as airplanes became a regular method of passenger and commercial transportation, and Toronto Island seemed a logical place for a municipal airport in Toronto—the island’s proximity to Lake Ontario meant it could accommodate floatplanes, connecting passengers and goods quicker to Toronto. As part of Prime Minister R.B. 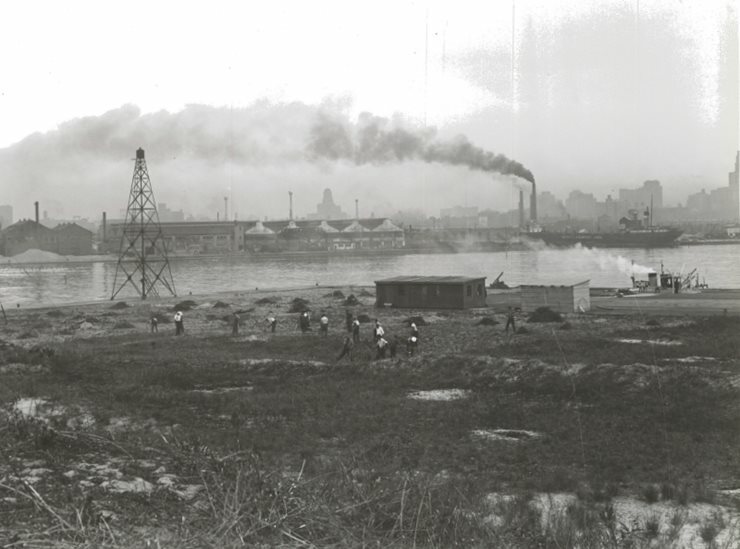 Bennett’s “Canadian New Deal” in 1935, a public works project was initiated to build a two-thousand-foot tunnel to run from the foot of Bathurst Street under the Western Gap to the Island. 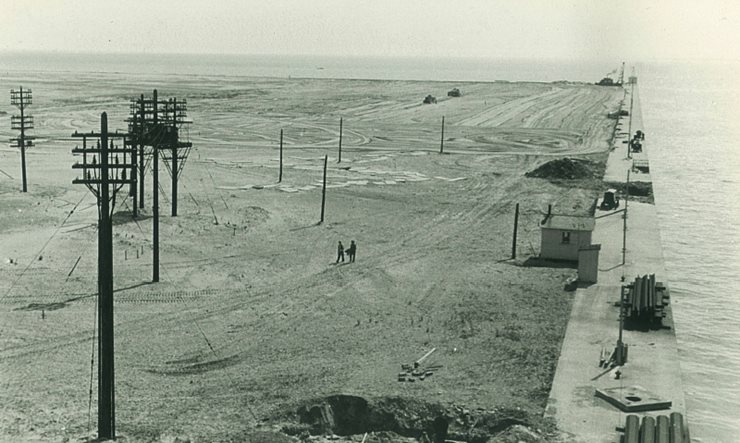 Once vehicular access to the Island was secured, construction of an airport could soon follow. On August 8, 1935, City Council approved both the tunnel and the airport projects. 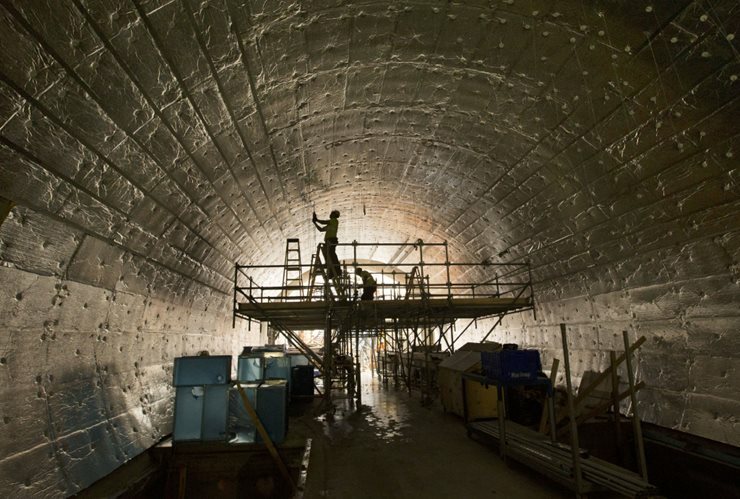 Soon after work began on the tunnel under the Western Gap to connect the Island to the mainland, a federal election and change in political leadership would stall and eventually cancel the project. 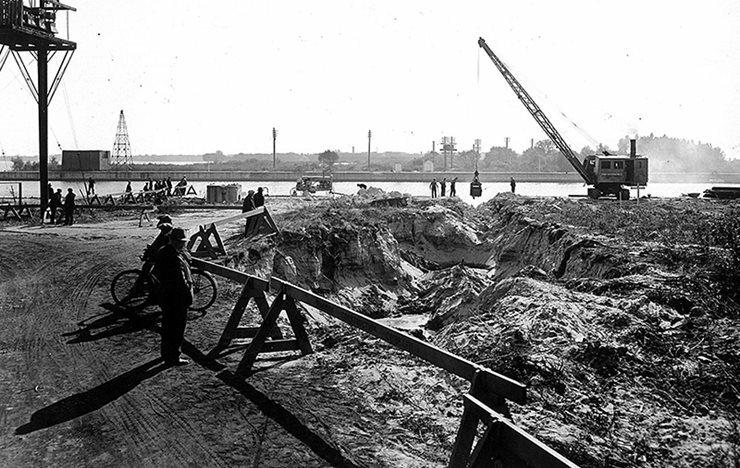 By August 1936, the large hole constructed by Public Works was filled in. 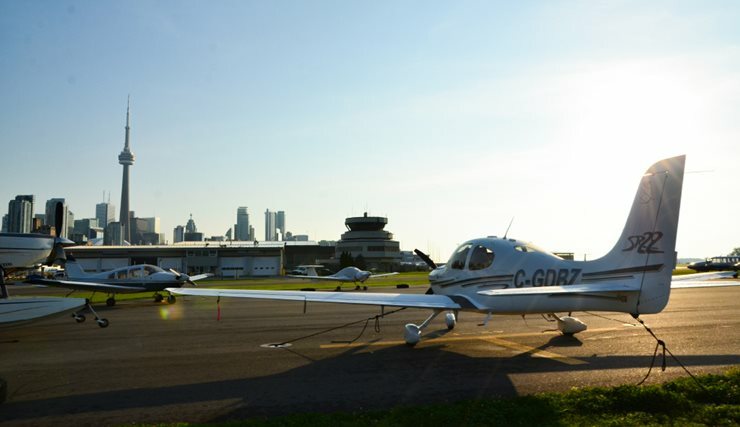 Despite setbacks, the City of Toronto did not abandon its plans to build an airport. 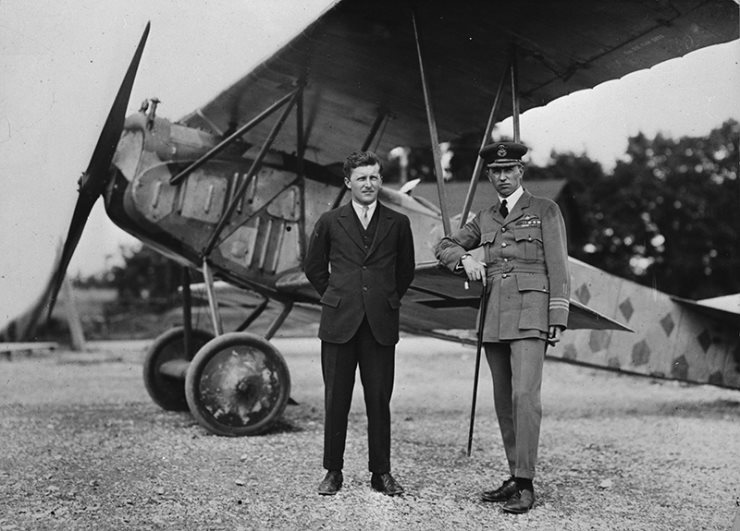 On November 18, 1937, the City created an Advisory Airport Committee, led by WWI flying ace William “Billy” Bishop, which was tasked with investigating locations where a Toronto municipal airport could be built. 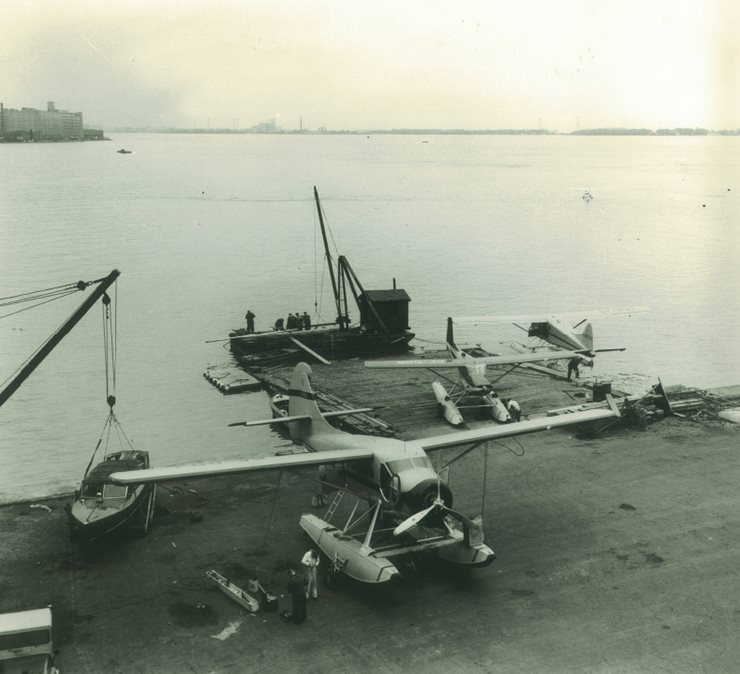 On July 9, 1937, Toronto City Council, advised by the federal Department of Transportation, gave its stamp of approval to use property on the Western Channel of the Toronto Islands developed as a combined airplane and seaplane base. Work began on the site in that same year. 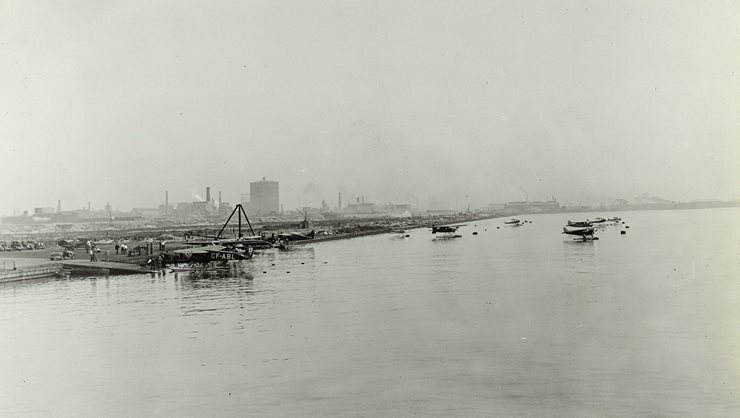 In 1937, the first ferry to offer service across the Western Gap channel was commissioned to transport workers and supplies as construction began on what would become Billy Bishop Toronto City Airport. 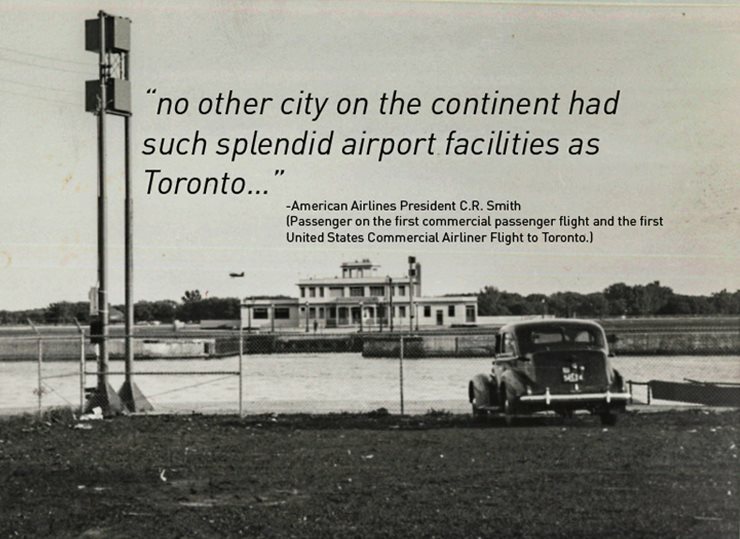 The airport administration building, commonly known as Terminal A, was designed and built by the Toronto Harbour Commission (PortsToronto predecessor) in the spring of 1939—it's twin was built at Malton (now Pearson international Airport) the same year. Terminal A served as the airport's terminal from 1939 until 2010, when the building was moved to the south side of the airport's runway. 1939: PORT GEORGE VI ISLAND AIRPORT? 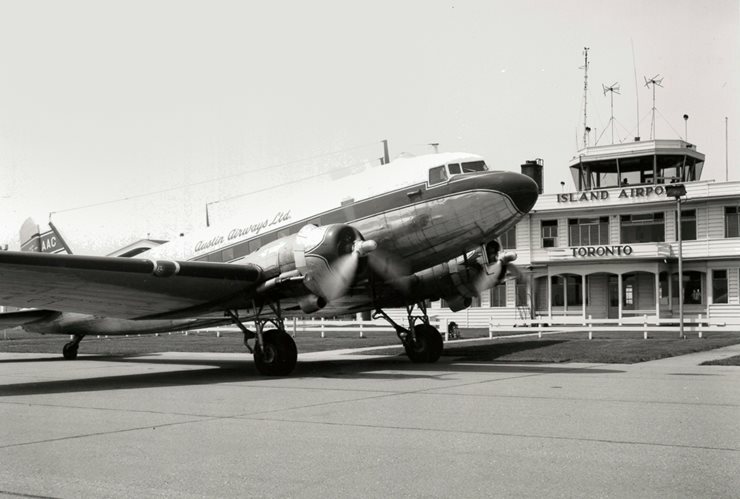 Anticipating a visit by King George VI and Queen Elizabeth in the spring of 1939, the airport officially opened as the Port George VI Island Airport. 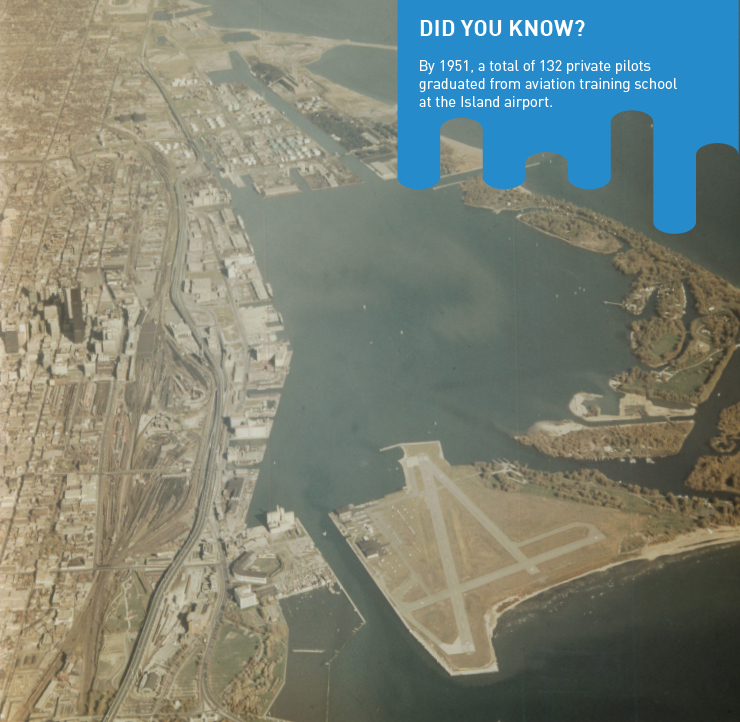 When operations began however, the moniker Toronto Island Airport became the most commonly used. H.F. McLean of Montreal in a Stinson SR-9F Reliant piloted the first flight to land at the new Island Airport, on February 4, 1939. Harry Falconer McLean (18 February 1881 - April 1961) was a Canadian railway contractor and eccentric philanthropist. He played a leading role in the construction of much of the trans-Canadian railways, eventually becoming the president of the Dominion Atlantic Railway company. H.F. McLean carried out many large construction projects in eastern Canada and Manitoba in the 1920 – 1940 period and a well-known to railway historians. At eight of the projects McLean erected a cairn to which was attached cast bronze plates on which were the words of the poem “The Sons of Martha” by Rudyard Kipling. This is a eulogy for the workers and McLean erected these cairns as a tribute to his workers and, in particular, those who died on these projects. Billy Bishop Toronto City Airport’s first ferry was built by the Toronto Harbour Commission (now PortsToronto) and could transport up to 48 passengers to the newly completed airport. To travel to and from the airport, the ferry was pulled across the Western Gap channel by a pair of chain cables. 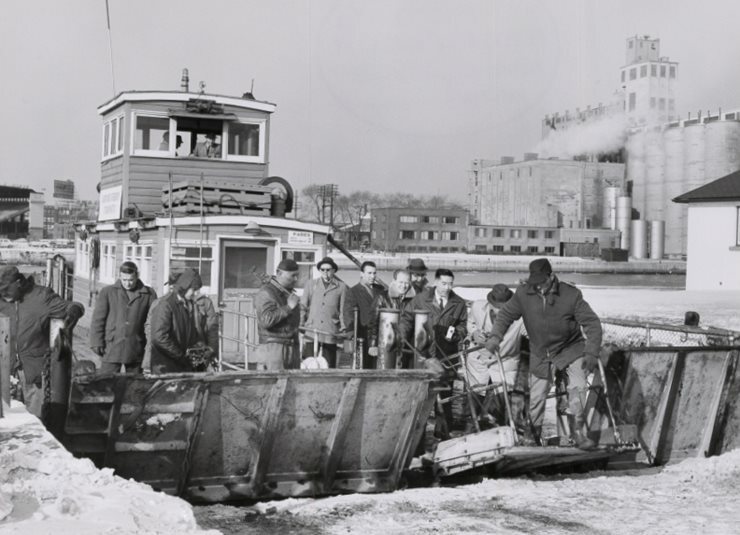 Serving for 25 years, the cable ferry was often called into service in icy conditions to bring Toronto Island residents to and from the mainland. The first commercial passenger flight to the airport was on September 8, 1939, when a charter flight carrying trumpet player and Conductor Tommy Dorsey along with his swing-band landed in Toronto for a two-day engagement at the Canadian National Exhibition. 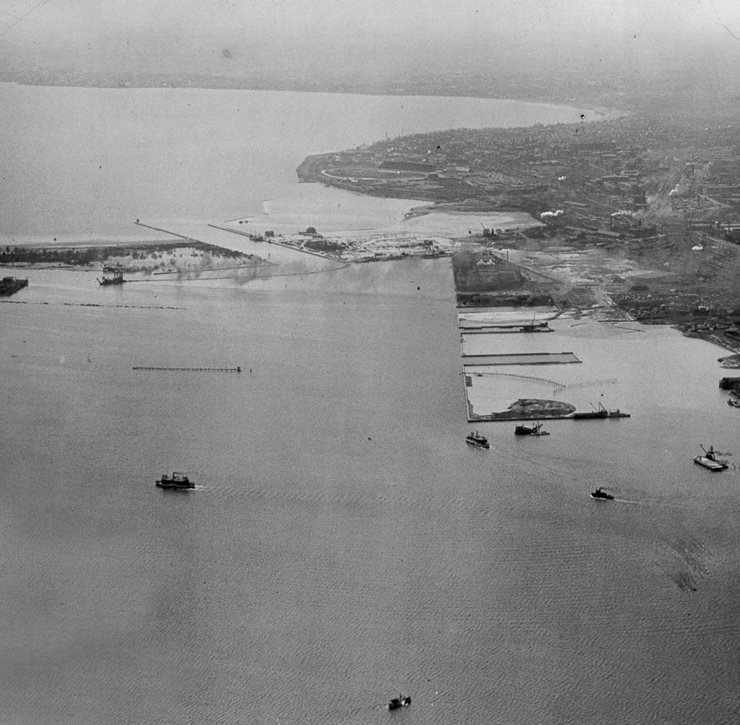 After war was declared in September of 1939, the airport's operations shifted as civilian flying declined and military operations were settled on the island airport. 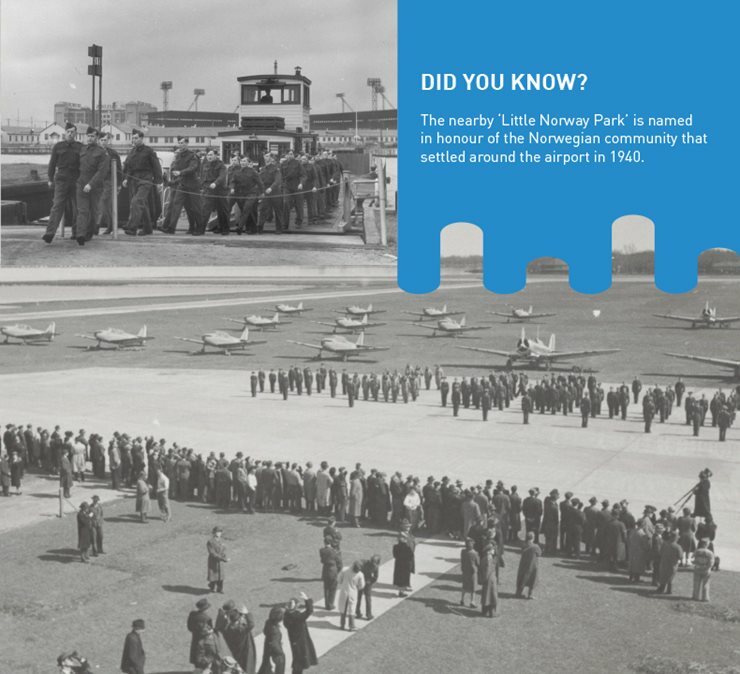 From 1939 to 1943, the airport became a training facility for the Royal Norwegian Air Force, and barracks were built on the mainland at the foot of Bathurst Street. The Royal Norwegian Air Force continued to make use of the airport, chiefly for repairing and overhauling their aircraft, however military activities were largely confined to the Royal Canadian Air Force (RCAF). In early 1943, the "Little Norway" training facilities were transferred to the RCAF. This camp is now known as "Lakeside Camp". In 1945, at the close of WWII, Air Force activities ceased and civilian flying resumed at the island airport. By 1946 various civilian operations were established at the airport, including flying schools, charters and an aircraft repair shop. 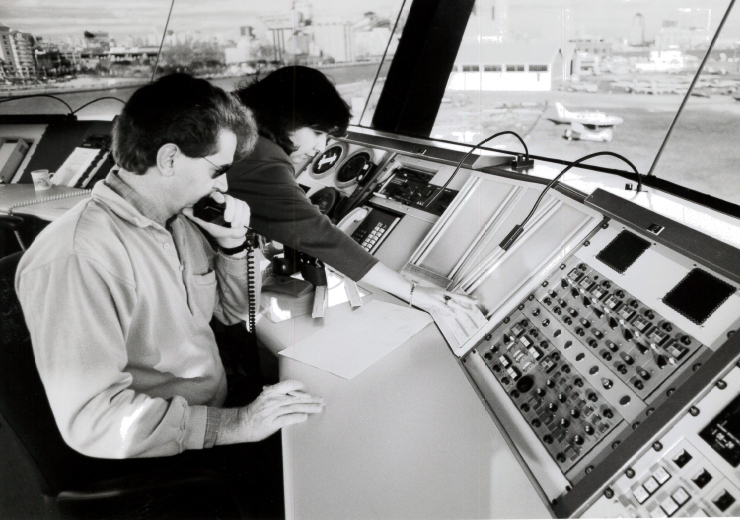 On September 19, 1953, Air Traffic Control by visual means was established by the Department of Transport. By December 5, the final installation of equipment was completed and “Island Tower” was officially opened by Allan A. Lamport, then Mayor of Toronto. Billy Bishop Toronto City Airport in the 1956 was increasing in popularity as the way to travel with takeoffs and landings at the island reaching a record 130,000 passengers per year. Below: Dec 5, 1953 at Billy Bishop Toronto City Airport. Official opening at the tower control. 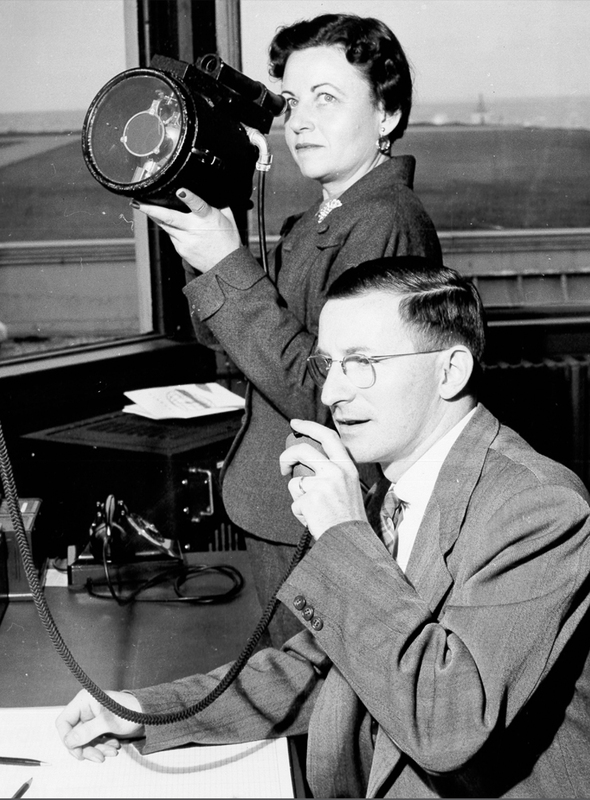 Controller Geral Thornton and Margaret Dunseith. From 1958 to 1962, the airport underwent an improvement and expansion project. Fill from Western Channel dredging operations was deposited on the east and west sides of the airport to permit a runway extension of 4,000 feet. Airport improvements, including a new hangar, the new runway, and night-time landing lights were also completed. An official meteorological observation station was established at the airport by the Department of Transport, providing pilots with on-the-spot briefing facilities and airport staff with an early-warning system to assist in the protection of aircraft from bad weather and high winds. New lighting was installed to permit night flying. 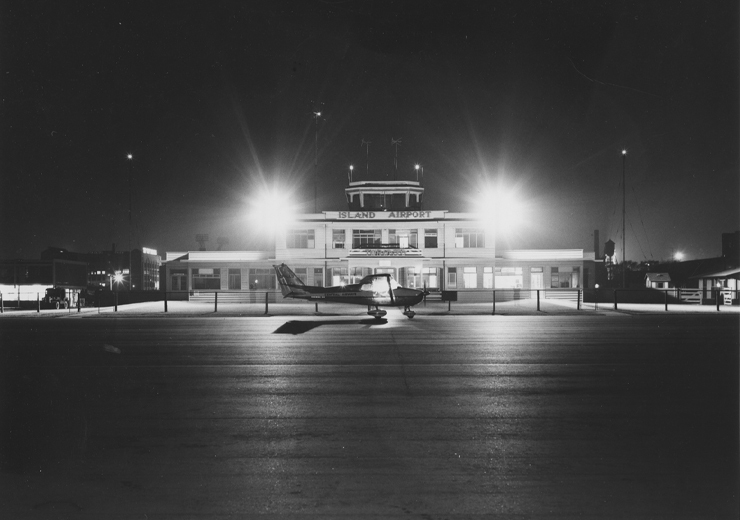 On April 15, 1963, night-time flights began and the airport extended its closing hour from one half-hour before sundown to midnight. 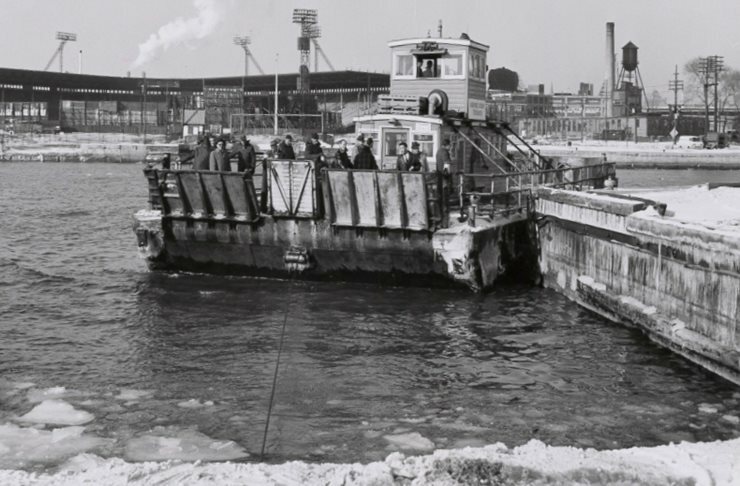 The airport cable ferry was taken out of service in the early 1960s and replaced by the Tug Thomas Langton. 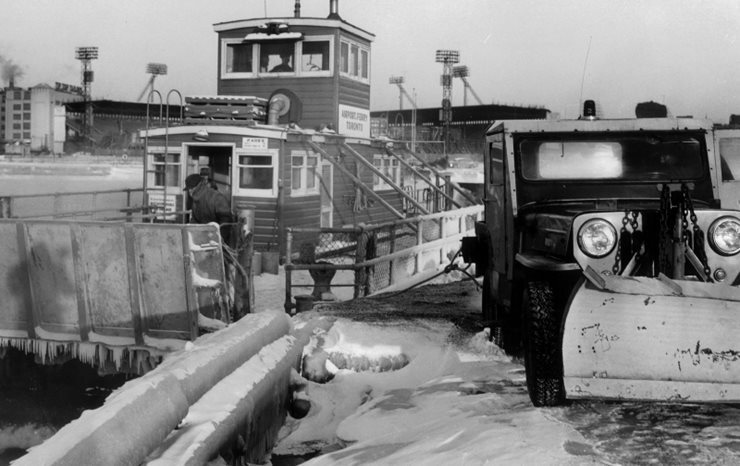 In the depths of winter, if the ferry slip filled with ice, the Tug Langton would be hooked up to a vehicle and pulled to a sidewall to let passengers on and off. 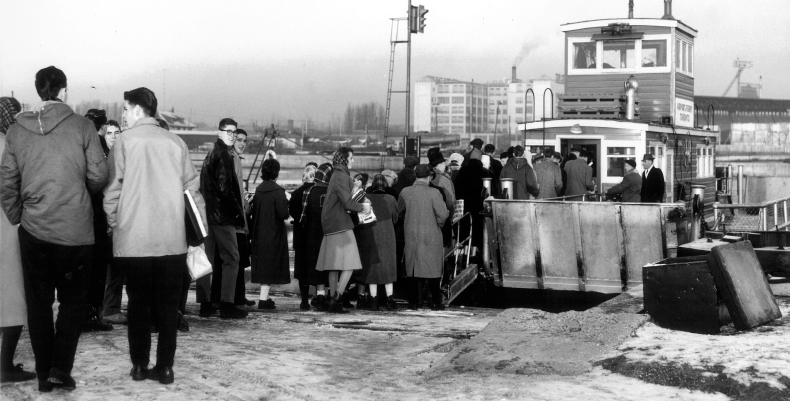 The Maple City ferry took over ferry operations in 1965, carrying up to 40 passengers and six cars to and from the airport. While no longer in service today, it remains on standby as a reserve unit. Austin Airways Ltd. plane. Based in Timmins, Ontario, Austin Airways was founded in 1934 and played a major role in opening northern Ontario for business. In 1987, it became part of Air Ontario, which in turn became part of what is now Air Canada Jazz. 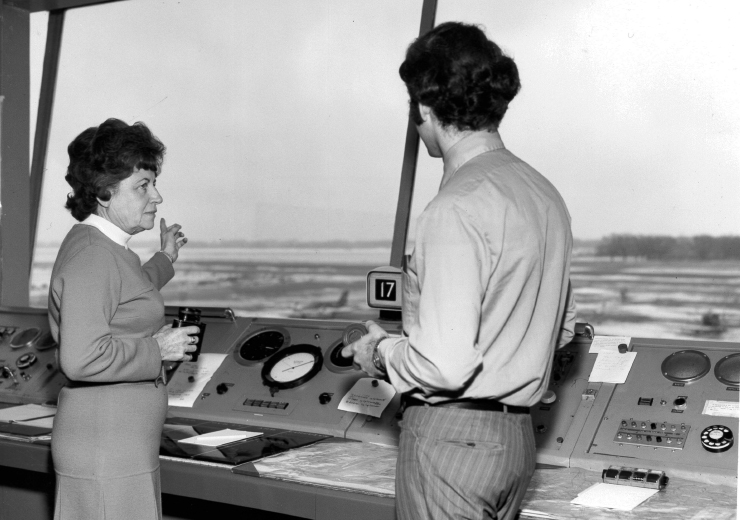 On February 2, 1972, Margaret Dunseith began working in the control tower of Toronto Island Airport. She began her career in aviation during the Second World War as an air traffic control assistant. 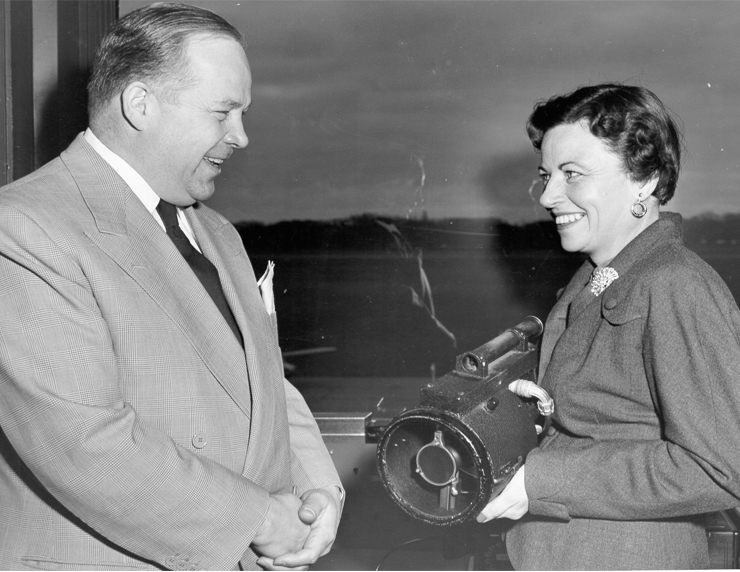 By 1952, she was one of the first women in Canada to fully quality as an air traffic controller and was a fixture at the Island airport until her retirement in 1980. In 1973, an instrument flight landing system for Short Take-Off and Landing (STOL) aircraft was successfully tested at the Island Airport. 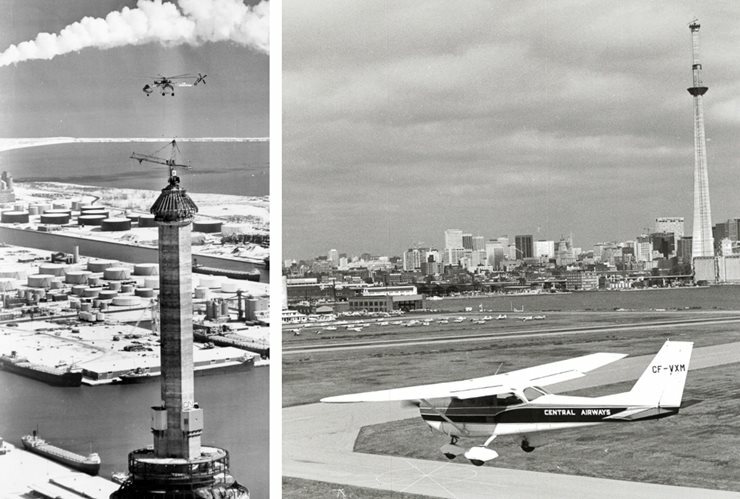 In 1975, the Island Airport was used as the base for Olga, a Sikorsky S-64 Skycrane helicopter used to dismantle the crane of the new CN Tower. Once the pouring of the concrete was completed in 1974, the final stages of building the world’s tallest Tower were about to begin (Tallest freestanding structure in the world 1975–2007. Tallest freestanding structure in the western hemisphere). The last thing to be added to the Tower was the 335-foot steel broadcasting antenna, consisting of 44 pieces—the heaviest weighing 8-tonnes. Before the antenna could be lifted, however, the giant crane used for four years of round-the-clock service to build the Tower had to be dismantled and brought down. To do all this moving, “Olga”—a 10-tonne Sikorsky helicopter used primarily for industrial lifting – was flown to Toronto. And on her first trip, tragedy almost struck. As Olga was removing the first piece of the boom, the crane lurched, twisting and seizing the supporting bolts. Now hovering at about 1,500 feet, Olga was basically attached to the Tower, with 50 minutes of fuel (the job was supposed to take only 12 minutes). The crane couldn’t just be released, either. The operator was still inside. Steel workers scrambled up and burned off the bolts, finally releasing the crane from the Tower. Olga landed with about 14 minutes of fuel left. After this brush with danger Olga performed the rest of the work flawlessly. As each piece of antenna was raised, workers would stand at the top and help maneuver the new piece and bolt into place. And all this where the Tower is only 5-feet in diameter and with gusting winds and freezing temperatures. It took more than three weeks before the final piece of antenna was secured by high rigger Paul Mitchell on April 2, 1975. He even danced a little jig to celebrate—1815-feet above the earth. 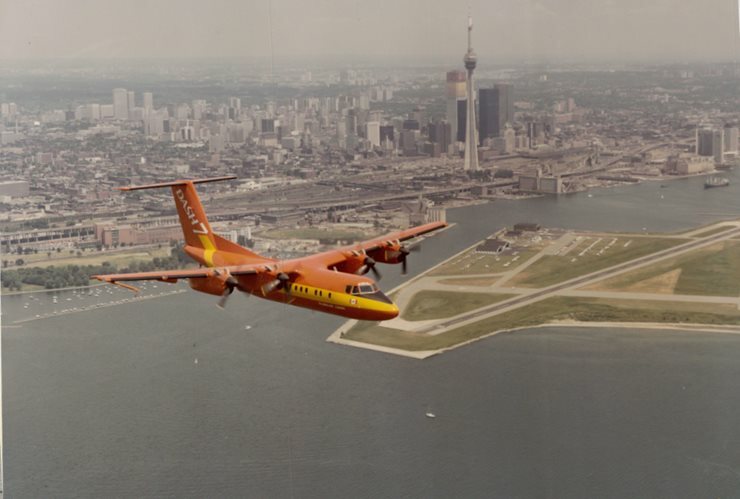 Toronto Island Airport celebrates 50 years. In this same year, the new control tower at the Island Airport is officially dedicated as the Margaret R. Dunseith Building, in memory of Canada’s first female air traffic controller. 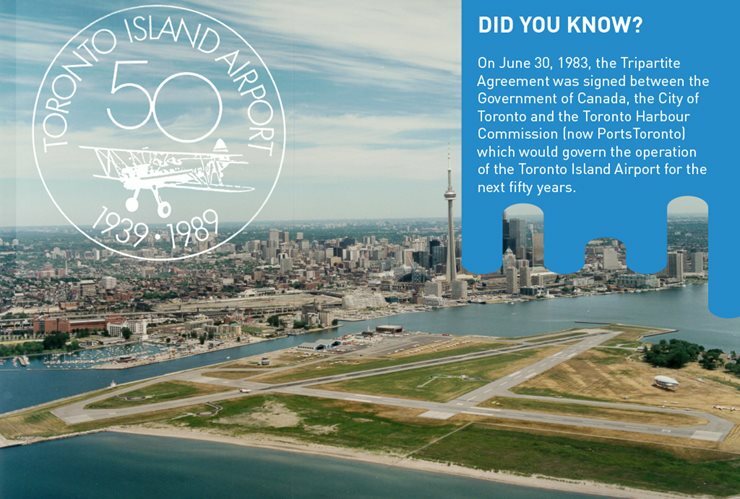 In 1990, the Island Airport was renamed the Toronto City Centre Airport (TCCA). 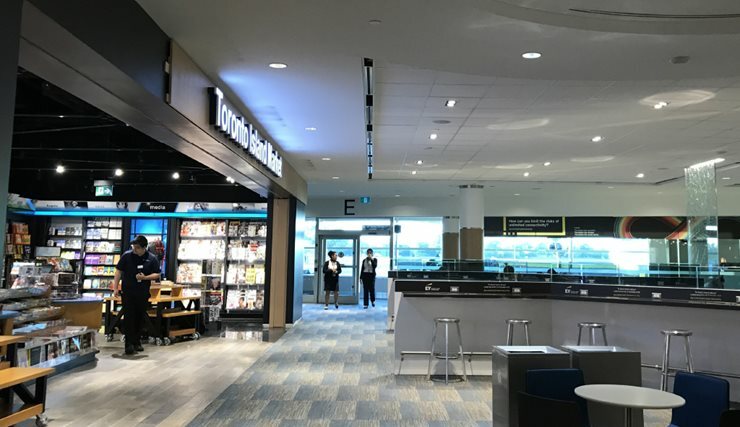 In 1999, the operation of the airport was turned over to the recently created Toronto Port Authority (TPA), which took over the responsibilities of the Toronto Harbour Commission, including the airport and port functions. In 2006, the David Hornell Ferry was put into commission, replacing the aging Maple City Ferry which had been in service since 1951. The David Hornell carries 150 passengers on its upper deck and 20 vehicles on its lower deck. 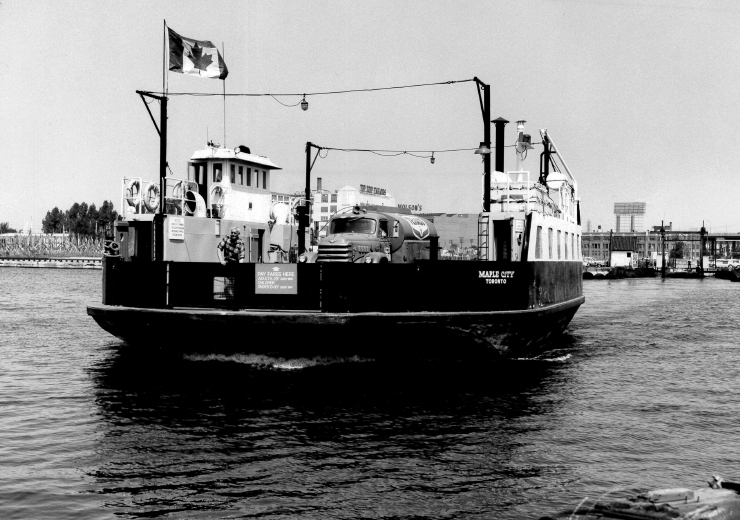 To this day, the David Hornell ferry continues to serve as a back-up ferry for Billy Bishop Toronto City Airport. 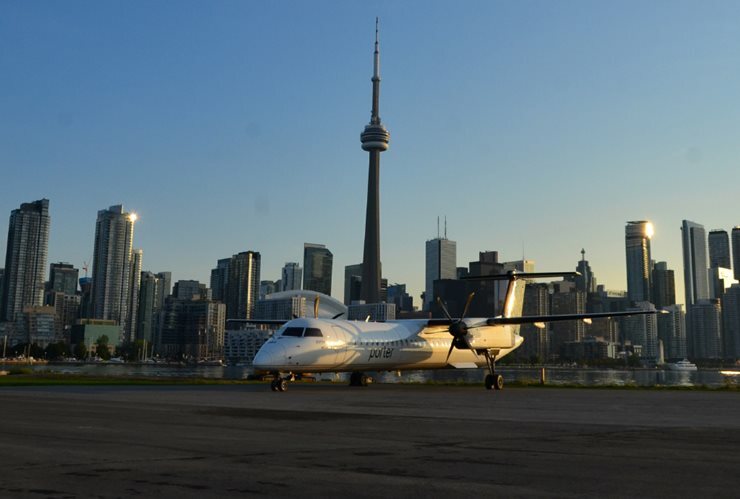 In 2006, Porter Airlines started operating out of Billy Bishop Airport, as well as Air Canada. Today, serving more that 20+ destinations in Canada and the United States. 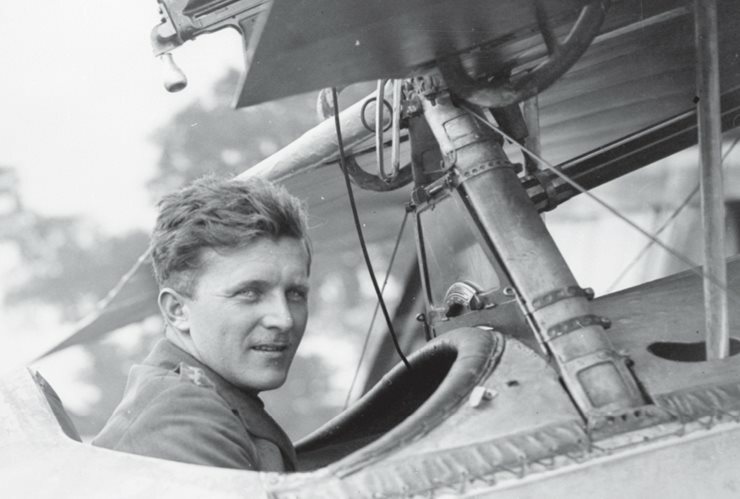 At its annual meeting on September 3, 2009, the Toronto Port Authority announced that it would rename the airport after William Avery "Billy" Bishop, a Canadian First World War flying ace and Victoria Cross recipient. 2010 marked the beginning of construction on the pedestrian tunnel to Billy Bishop Airport. A new ferry, named the Marilyn Bell, went into service on January 22 of this year. Terminal A, in operation since 1939, was decommissioned and the new Billy Bishop Airport terminal was opened. The Marilyn Bell I ferry went into service in January 2010. 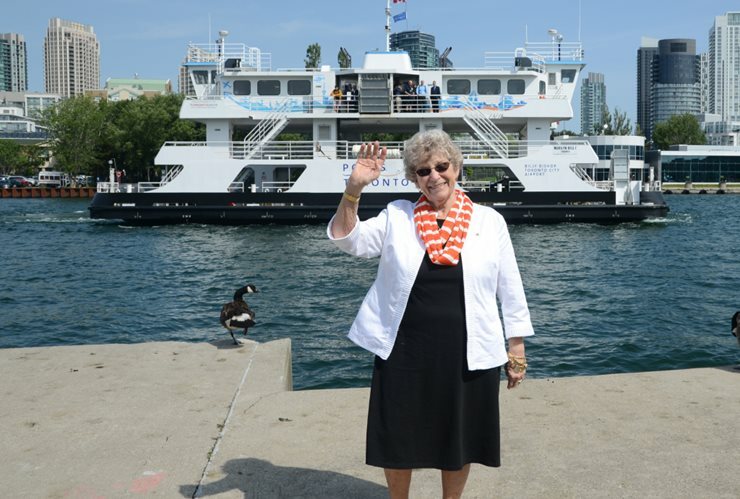 Through an online contest, passengers and Toronto residents voted to name the ferry after Canadian sports legend Marilyn Bell. In 1954, Bell became the first person to swim across Lake Ontario at the age of 16. Later, she would also become the youngest person to swim the English Channel and the Strait of Juan de Fuca. The Toronto Port Authority constructed a noise barrier at Billy Bishop Airport in 2012. 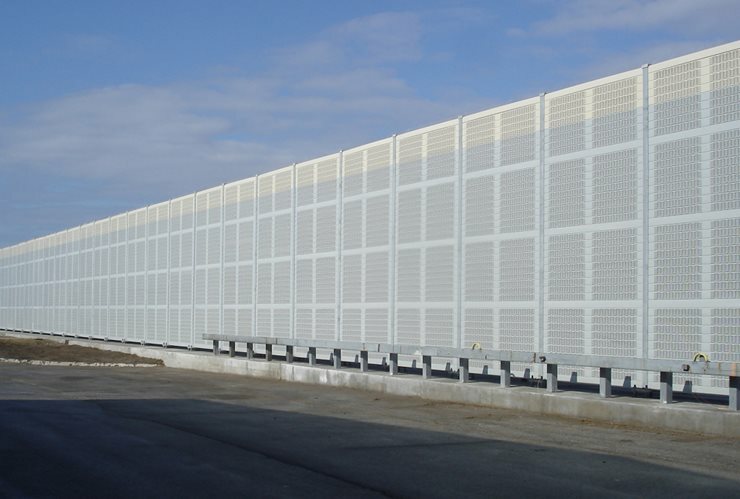 The 93-metre long, 6-metre wide noise barrier mitigates aircraft noise in the surrounding community. 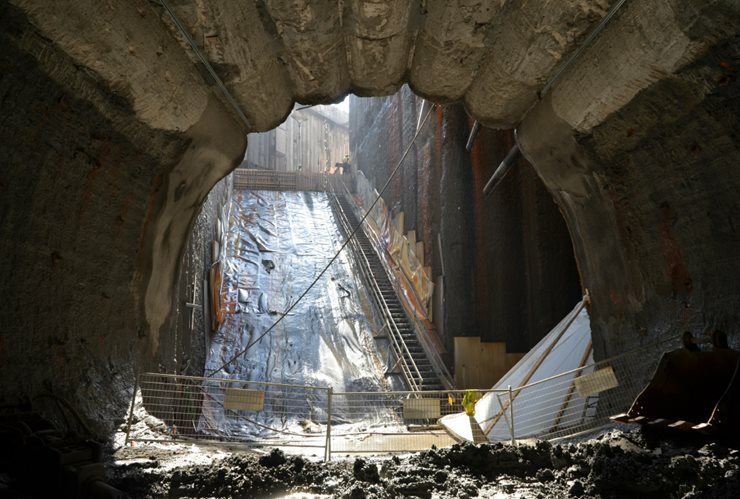 Excavation of the pedestrian tunnel was completed in October 2013, followed by installation of waterproofing and reinforcing steel and concrete. 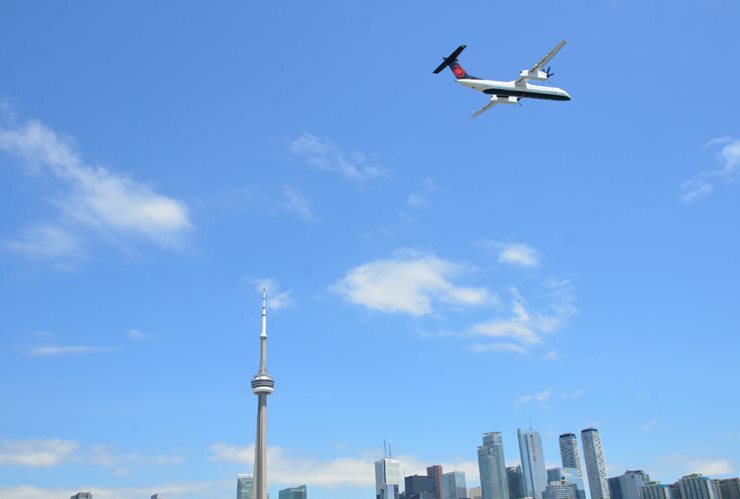 Billy Bishop Airport launched WebTrak, an important advancement in the airport’s noise management strategy. WebTrak is an online service that allows individuals to locate and track aircraft on their computer and receive information such as the aircraft type, its destination and point of departure. In 2015, the pedestrian tunnel to Billy Bishop Airport was officially opened, 10-storeys below the Western Gap at the base of Bathurst Street. This tunnel allows passengers to walk to and from the airport in 6 minutes and dramatically improved passenger flow. More than 90% of travellers opt to take the pedestrian tunnel. 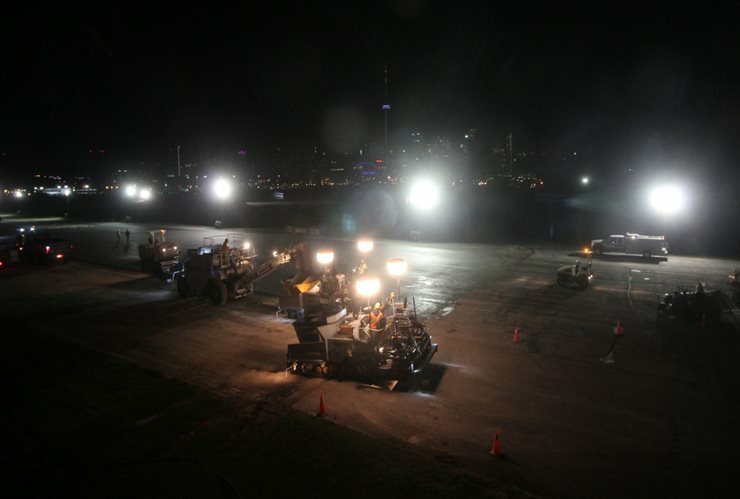 In 2016, Billy Bishop Airport broke ground on a significant three-year Airfield Rehabilitation Program to replace aging infrastructure, including the lighting and paving for runways, taxiways and apron areas of the airport. 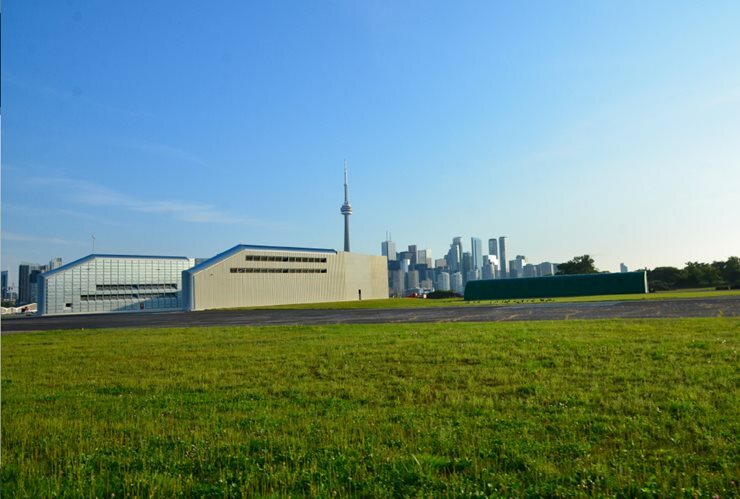 This year also saw the completion and official opening of the Ground Run-Up Enclosure, a structure that reduces the acoustic impact from required engine run-ups, only the second of its kind in Canada. 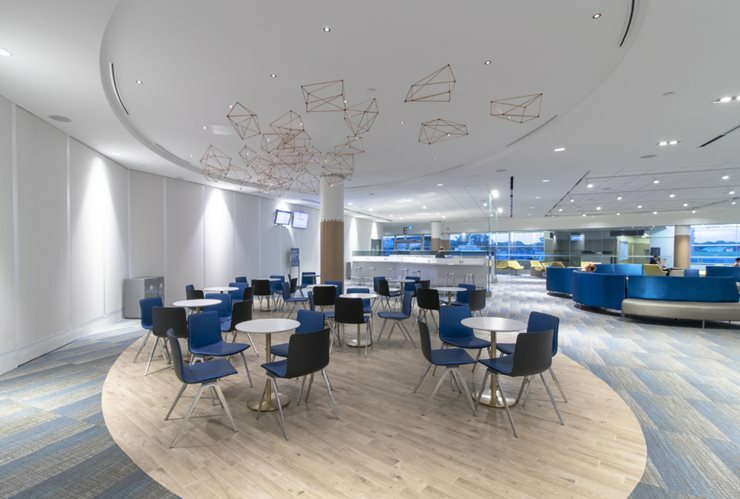 In 2016, PortsToronto approved plans submitted by Nieuport Aviation Infrastructure Partners, owner and operator of the airport’s passenger terminal, to upgrade and enhance the airport’s terminal building. These upgrades include increasing the terminal’s footprint to accommodate the airport’s growth since 2010, to enhance its world-class passenger lounge experience with new shops and restaurants, and to build an 11th gate to increase the terminal’s operational efficiency. Aviation Airlines who called Billy Bishop Toronto City Airport home.